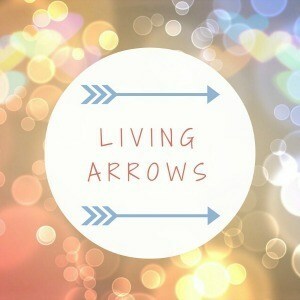 Yay to joining in with Living Arrows again this week, week two and I am sharing a similar post to one I shared last year before we had Arthur. I took these photos last week after Sophia’s first tap lesson. She used to do tap, modern and ballet, but decided to stop when she was 5. Now that she is 8 we have been talking about her finding a hobby other then, drawing and writing. Although I think they are brilliant hobbies and I love how she enjoys to write and to draw I do think its important for her to do something out of home, with her friends. We have tried various clubs over the years, too many to list, gymnastics and horse riding were some of them. So she is definitely learning what she loves to do. She is so excited to go back to tap this week. I am really pleased. 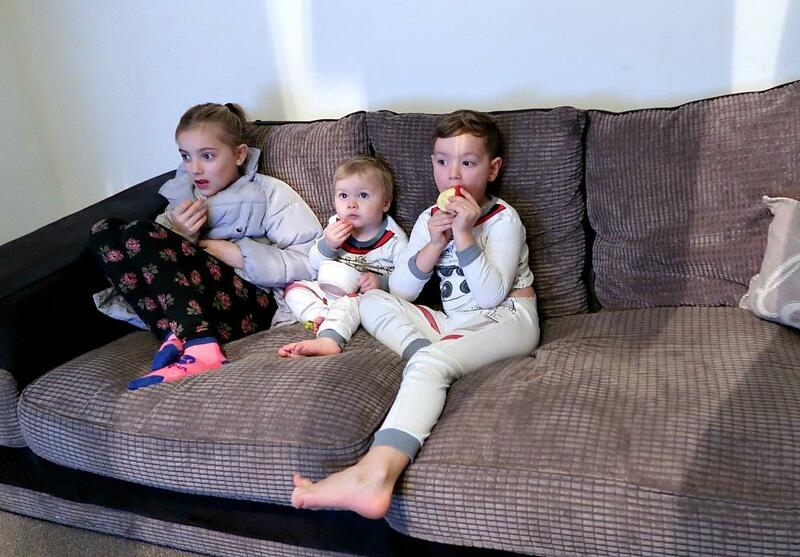 I wanted to capture the three of them sitting on the sofa, because although these moments are very ordinary and normal at home I know in years to come I will look back and remember how little they all once where. How we did this often. I love it when they are peaceful and how they always choose to sit right on top of each other. Arthur always has to sit in the middle. He adores his big brother and sister. I wrote a similar post to this a few years back before we had Arthur if I can find it I will link it. I know these photos are nothing special to anyone but they mean so much to me. 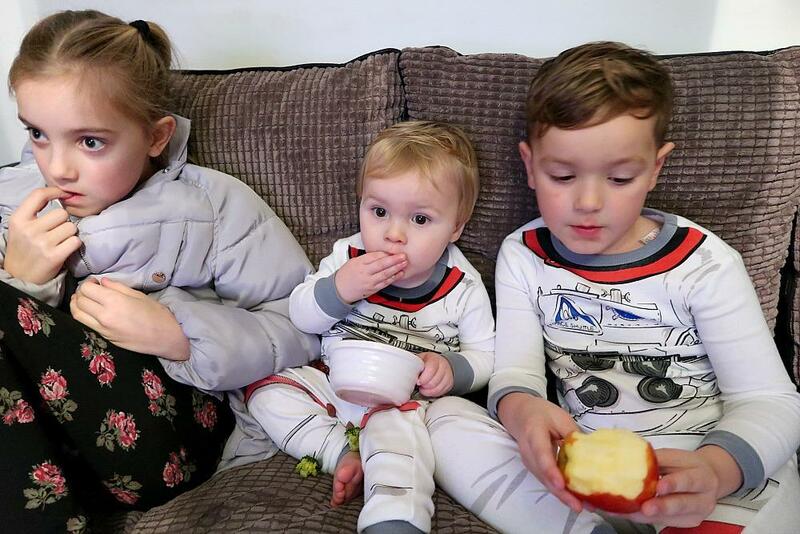 Arthur feeding himself some broccoli which he hadn’t finished at dinner, and Archie eating an apple, probably the only fruit he’ll eat at home, that and banana’s! And Sophia was just watching telly after her tap lesson. I had left the boys at home and taken Sophia, and when I came back Dan had bathed and fed Arthur and Archie and fed. He had also plated up dinner for me and Sophia which we had as soon as we got in. What I love most about these photos is that they will forever remind me of our family evenings. Our weekday evenings are always different, some days Daniel will finish early from work others he wont. When he does we all love it so much, it certainly makes my life a lot easier having him home in the evenings and the children love it so much too. Some evenings we have clubs others we don’t, some evenings we have homework. Archie is now in reception so has homework just like Sophia and last night we sat for about an hour chatting and slowly completing it. I don’t really put to much pressure on them for homework I just make sure we do it in our own time when they want to and when I have a spare moment. Last night Arthur was awake and having three kids to juggle, two completing homework and needing support with it and Arthur wanted to sit at the table and draw, and he kept moaning if he was put down. The whole experience was a bit noisy and I wouldn’t have survived it without Daniel. So halfway through I left dan with the big two and their homework which they had nearly finished and I went to put Arthur down for the night. Archie is starting to read and when I came back after putting Arthur to sleep I sat with him to read a book. Its so lovely to watch him learn and grow he is so ready to read he loves books, I think he will be a very keen reader. He recognised a few words like, dad and mum so I was really proud of him. I will always look back fondly at these photos, our busy evenings as a family of five. In the thick of parenting three little children and content, happy, and enjoying each moment for what it is whether, noisy, loud, chaotic, or peaceful and calm, all these moments of parenthood just as they should be. What inspires us about Simpson Travel Holidays? 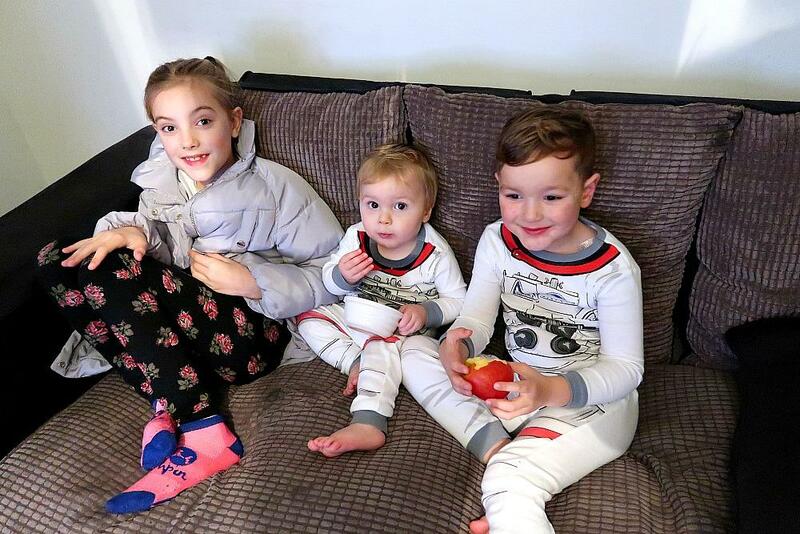 They all look so well behaved and settled in these photos <3 I love their PJs!